Dr. Craig Amshel has been recognized by the state of Florida as a compassionate physician who’s authorized to order low-THC or medical cannabis for patients suffering from specific debilitating or life-threatening illnesses and chronic conditions. A 90-day relationship between Amshel and the patient is required. Folks long suffering from debilitating illnesses and chronic conditions may soon find relief in the form of medical marijuana. Thanks to the recent passage of Amendment 2 during the Nov. 8 General Election, patients with specific conditions now have the option of seeking help from physicians recognized by the Florida Department of Health as compassionate physicians. These doctors, who have taken eight hours of continuing education training to qualify for the designation, are approved to recommend the use of medical marijuana. Dr. Craig Amshel is currently the only physician in South Shore on the state list maintained by the Office of Compassionate Use. 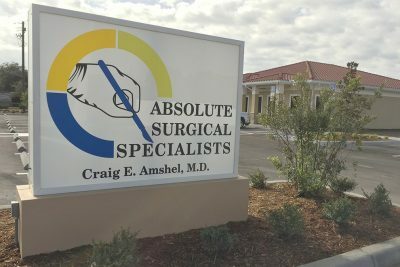 Amshel, a colorectal surgeon specializing in gastrointestinal diseases, owns Absolute Surgical Specialists and presently practices in Sun City Center. 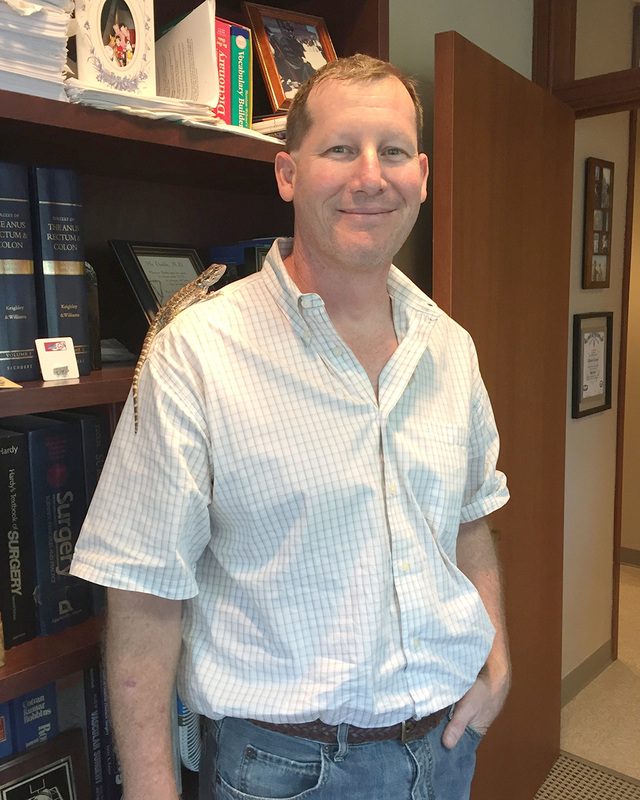 When he was in college in the mid ’80s, Amshel had a friend who had to have an arm amputated due to bone cancer and underwent chemotherapy afterward. “He was in such pain and couldn’t keep anything down,” Amshel said. “His doctor told him if he could get some marijuana, he would allow him to smoke it in the hospital. “That’s what initially opened my eyes to the medical benefits of marijuana,” Amshel said. In Florida, medical marijuana cannot be smoked. It must be ingested or taken in as a vapor. Patients who have cancer or physical medical conditions “that chronically produce symptoms of seizures or severe and persistent muscle spasms” may be eligible for low-THC cannabis; those with terminal conditions, medical marijuana, the site says. Dr. Craig Amshel’s new office at 1046 Cypress Village Blvd., Ruskin, is expected to open sometime in January. For now he can be seen at 139 Pebble Beach Blvd. S., Suite 200, Sun City Center. To make an appointment, call 813-633-0081. Low-THC cannabis contains very low amounts of tetrahydrocannabinol, the psychoactive component of marijuana that produces the typical “high” most people associate with marijuana use. On the other hand, medical cannabis can contain significant amounts of tetrahydrocannabinol. Patients under the care of a compassionate physician, must be registered on the compassionate use registry at the University of Florida in Gainesville. The doctor is required to show other forms of treatment have been tried, develop a treatment regimen and then update it every 90 days. With the passage of Amendment 2, patients suffering from Crohn’s disease, Parkinson’s, ALS (amyotrophic lateral sclerosis), PTSD, multiple sclerosis, HIV, glaucoma and similar debilitating conditions may be eligible, Amshel said. The Florida Department of Health has six months to develop a standard protocol for patients and compassionate physicians, he added. He is currently authorized to issue an order for a 45-day supply of cannabis only. Insurance companies don’t cover any of the costs involved, and since cannabis is still illegal under Federal law, credit cards cannot be used by patients to pay the doctor or dispensary. That won’t matter much to folks needing relief. Begley is ecstatic that she can now legally get help. Amshel’s South Shore office is at 139 Pebble Beach Blvd. S., Suite 200, Sun City Center. He also has a satellite office at 1218 Millennium Parkway, Brandon. His new office at 1046 Cypress Village Blvd., Ruskin, is expected to open sometime in January. To make an appointment, call 813-633-0081.